A large number of small business owners are starting to discover that social media does not have to be a painful process or one that is restricted to the younger generation. As a result of this revelation, many of those entrepreneurs that are deciding to take advantage of social media sites say that they’re reaping big rewards aside from being able to commune with customers. The Fall 2011 Attitudes and Outlook Survey, put on by Constant Contact, an email marketing firm, has shown that small businesses are becoming more aware of the desire of customers for engagement. As a result, the companies are responding by actively “listening” to their clients on sites such as Facebook, Twitter, Linkedin and company websites. What many small business owners are beginning to realize is that not only are social media sites a great way to stay in touch with customers, but they also offer unique advantages that can help their small businesses in ways they may not have initially thought. One benefit is cost savings. Since Constant Contact’s last survey six months ago, the firm discovered that small business owners who said that they’re allocating time to social media marketing climbed to 81%, an increase from the 73% reported six months ago. When asked why, 83% of small business owners named cost savings as their #1 reason to market online. Another benefit is ease of use. An additional 67% of small business owners stated that social media marketing is easier to master and use. That is an increase from the 54% in the last survey. In addition to that, it was also discovered that 51% of owners found out that their customers prefer to use media channels, an increase from 38% six months ago. Finally, improved efficiency is another benefit to using social media sites. 45% of those surveyed said that they were drawn to the fact that social media marketing doesn’t consume a lot of their time. This figure is also up from the 32% that was recorded in the survey six months ago. Facebook was pinpointed as the #1 site among those surveyed with an overall 96% approval rating. 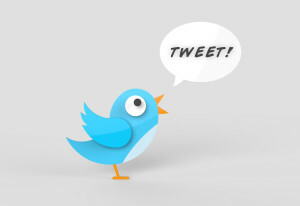 An additional 76% say they use Twitter, though 86% said they preferred Facebook for actually using social media tools. 60% of owners found Twitter to be useful for their marketing channels with another 55% saying they found Linkedin makes a lot of sense as a marketing tool for their business. KnowEm: helping SMB stake claims in the social media world. 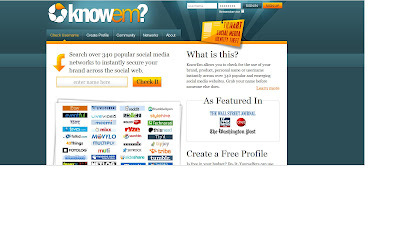 KnowEm is a new site designed to help small and large businesses stake their claim in the social media world. The site offers ways for your brand to have a place on various social media websites and offers a way for you to track and manage your brand on numerous sites in one central location. You can check the availability of user names and branded key words on 330 different sites for free. KnowEm also offers a few different services for companies, fees range from $49 a month for KnowEm to keep watch for any newly launched social media sites and automatically stake your claim on that site. 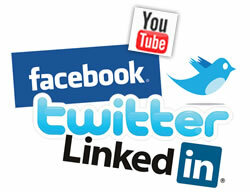 For $349 KnowEm will insert relevant profile information into the top 150 social media sites for you. With new social media sites popping up all the time and more large and small businesses creating an online presence, KnowEm seems to be the way to easily manage all the sites in one spot. The site can easily be used to make sure your brand is consistent across the internet so your customers can easily find you and your business. And the fees are worth it and could made a huge difference in how your company is seen online.